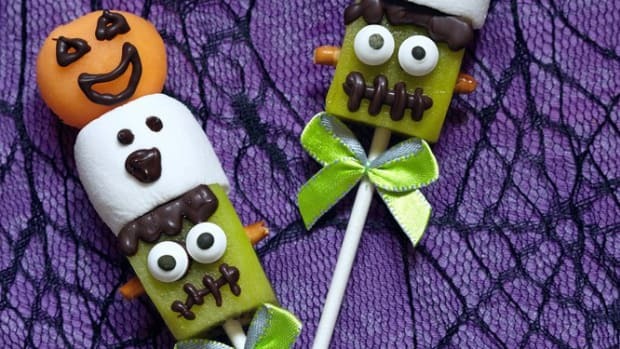 If you want to make your very own Halloween candy this year, we've got some amazing recipe ideas for you. 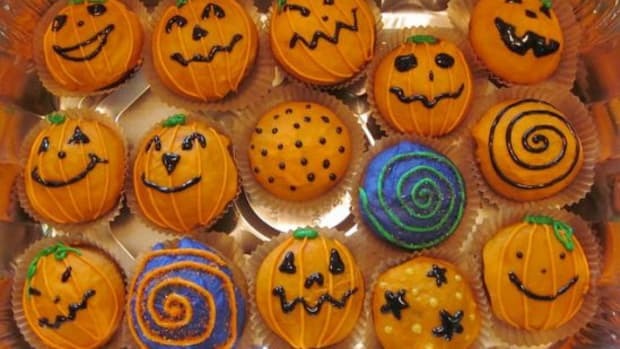 Every sweet Halloween recipe on this list is (somewhat) healthy, too. 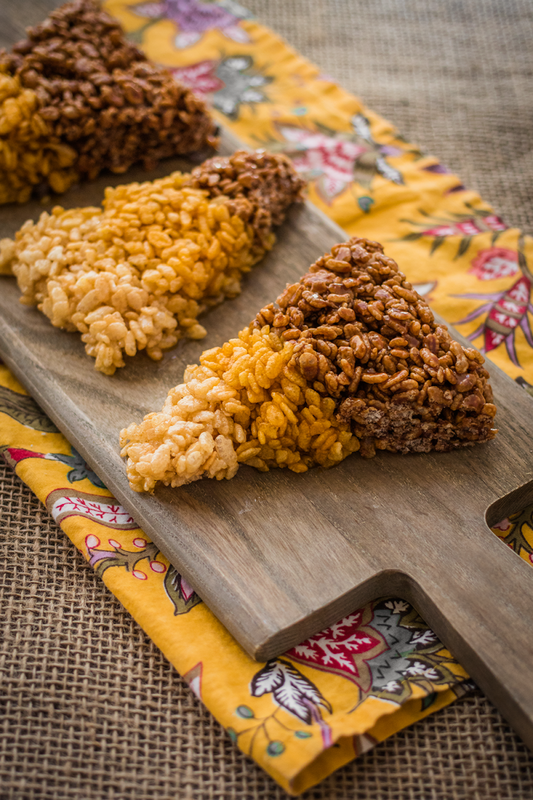 Candy Corn Rice Crispy Treats made by Karissa Bowers. Do you detect a chill in the air? A strange, ominous tingle creeping up your back? These feelings could only mean one thing: Halloween is right around the corner. 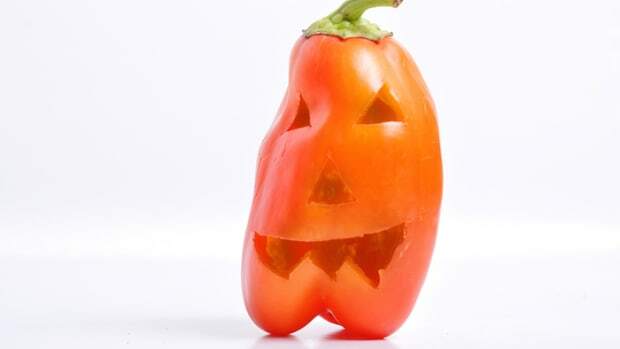 In addition to the pumpkins, costumes, and delightful tricks that Halloween brings, there also are treats a-plenty that you and your family and friends will inevitably consume. 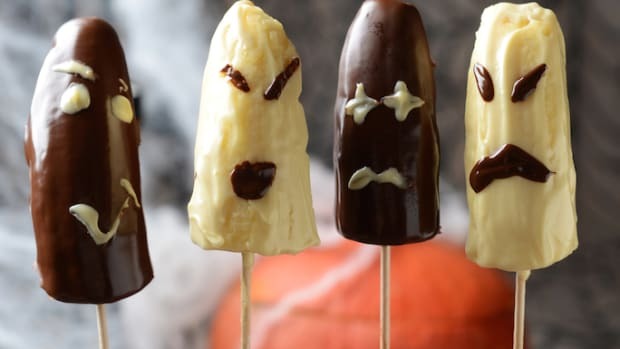 If you’re looking to limit the amount of conventional treats you eat this season, consider making any one—or all if you’re feeling ambitious—of these sweet Halloween recipes. They will satiate any sweet tooth. Candy corn is one of those things that keeps me a mere “mostly vegan” this time of year. Thankfully, we have a deliciously sweet solution for people like me—candy corn lovers who strive to abstain from animal byproducts. 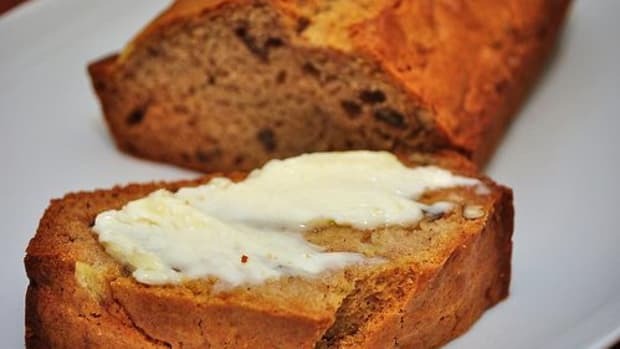 This scrumptious recipe only contains four simple ingredients. Bloody Halloween Cupcakes made by Karissa Bowers. 2. Bloody Halloween Cupcakes: Vegan and Gluten-Free! 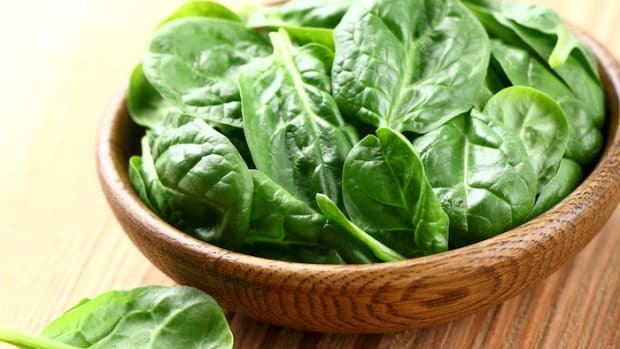 There are plenty folks out there who find gluten, dairy, and eggs downright frightening. 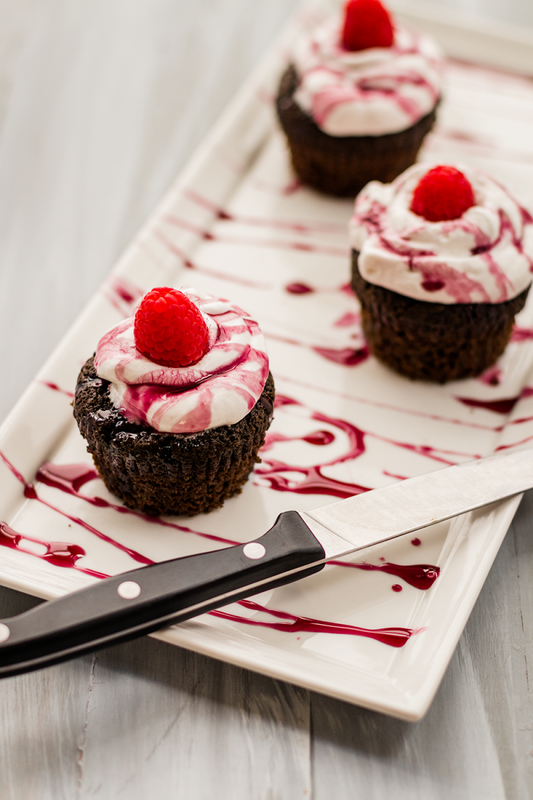 That’s why it’s such a good (and tasty) thing that we’ve published an amazing recipe for vegan and gluten-free “bloody” cupcakes. The cupcakes’ bloody goodness comes from wine (yum) and raspberries (double yum). 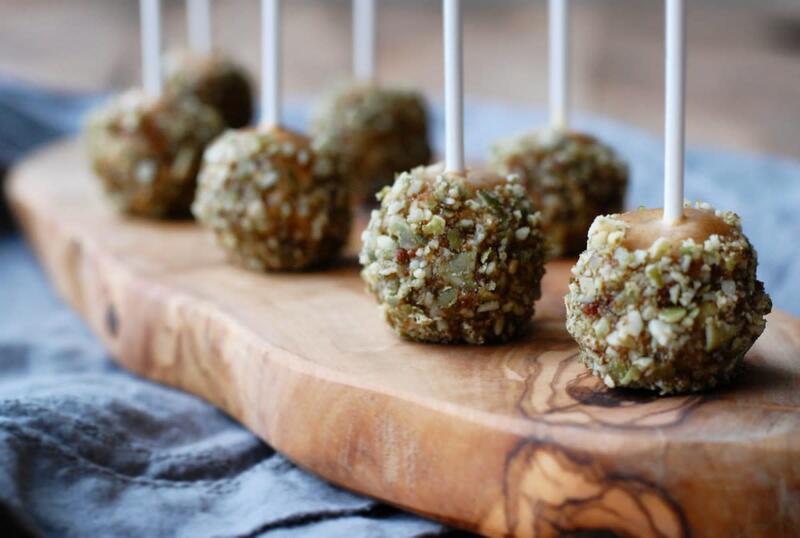 Vegan Caramel Apple Pops via PLANTLAB CULINARY. Caramel apples are one of those autumn staples that everyone loves to eat—even if they turn them into a sticky, hot mess after the fact. This caramel apple recipe is similar to its traditional counterpart, but it’s vegan. It gets its crunch from pumpkin seeds and sweet flavor from dates, vanilla extract, and maple syrup. Homemade Almond Joy made by Kate Gavlick. Love Almond Joys but hate that the traditional candy is filled with less-than-natural ingredients? We’ve got you. 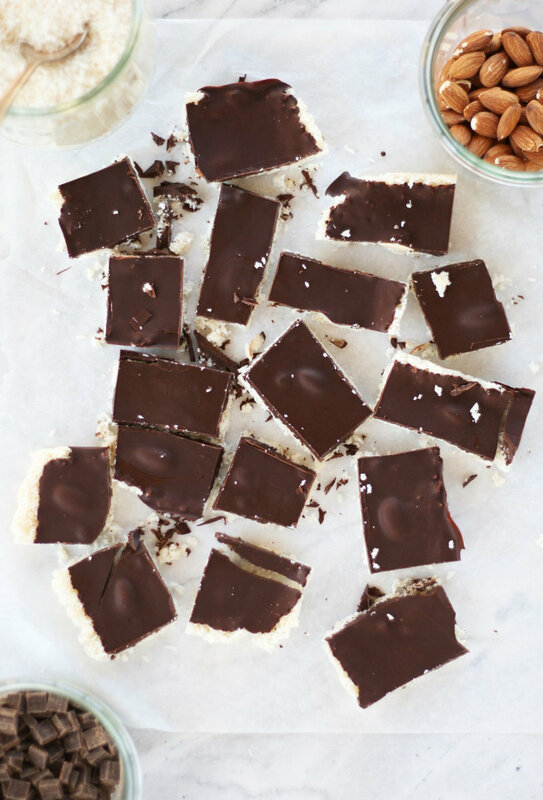 This homemade Almond Joy is filled with natural ingredients, such as raw honey, shredded coconut, almonds, and dark chocolate chips. Homemade Peanut Butter Cups made by Kate Gavlick. 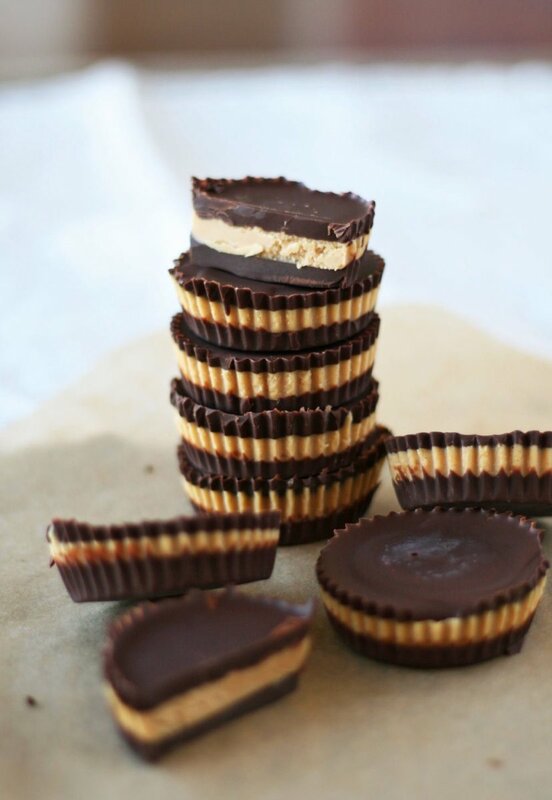 What is Halloween without peanut butter cups? These salty, sweet treats are a crowd pleaser. 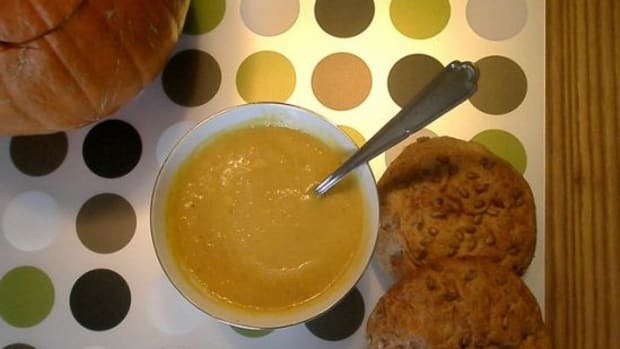 The recipe at the link is super simple; it only requires three ingredients to make. Vegan Snickers Squares made by Kate Gavlick. 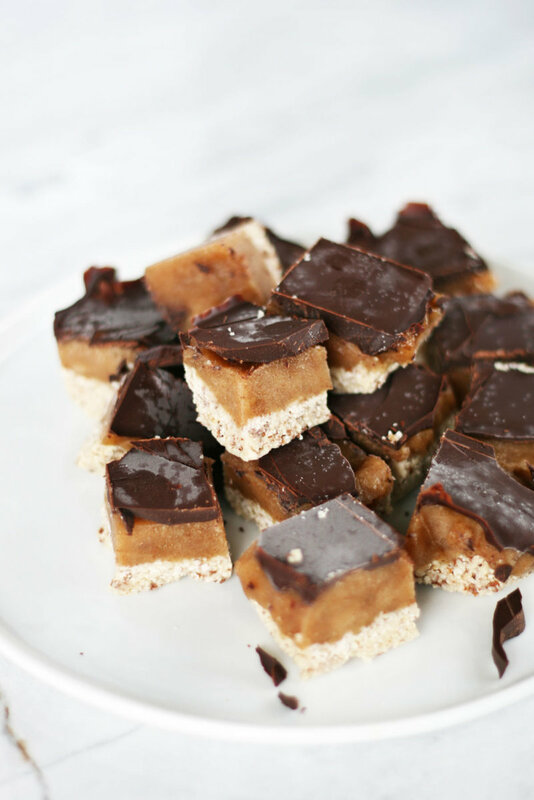 Last but not least is our recipe for healthy vegan Snickers squares. 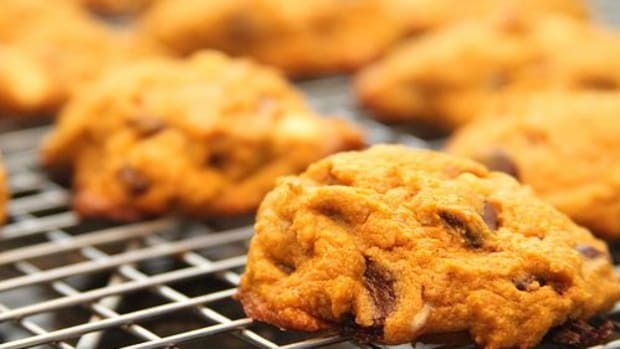 This recipe is so good, upon consuming it, you’ll feel just as happy as you did when you were a kid and got a King Sized candy bar while trick-or-treating.